Seekers Hub is a very unique learning experience. It is serving the surrounding community as well as Muslime community at large by providing free (both In-Room and Online) learning opportunities. They encourage and welcome anyone who has question about basic tenets of belief and philosophy through Drop-In programs which initiates thought provoking process for many doubtfull souls. They conduct classes for kids as well as adults and thse classes or programs are prescheduled. However from time to time they also offer enlightning seminars and lectures conducted by famous Scholors. There is also an Islamic bookstore on premises on behalf of Firdous Books. Seekers Hub is a Registered Charity in US and It accepts Zakaat and Donations. 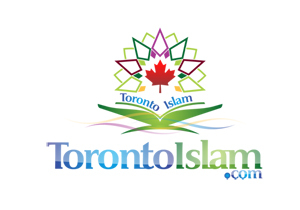 The focus of this institute is to instill as much knowledge in muslim youth as possible. I had an opportunity of attending their one session with Shykh Rabanni and it was very enlightening. I like the fact that they provide online session of training too. They have an online Q&A system in place where you can ask question whatever comes in your mind and I have used that a lot during ramadan. It is amazing.